For homeless veterans, a secure place to sleep can be the ticket to a fresh start. Elks at Lebanon, N.H., Lodge No. 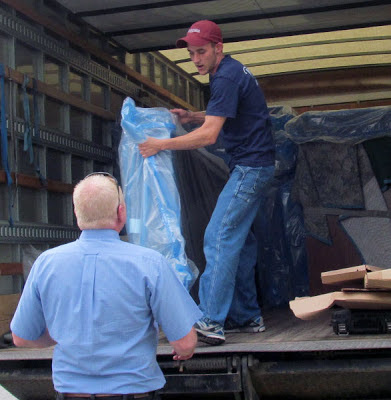 2099 helped homeless veterans in their community get this fresh start by providing furniture for a local residential facility. Using its Elks National Foundation Gratitude Grant, the Lodge teamed up with Harbor Homes to furnish bedrooms for six homeless veterans. The Elks National Foundation helps Lodges serve their communities by offering $2,000 Gratitude Grants. Lodges are eligible to apply for Gratitude Grants after meeting the National President’s per-member goal for Foundation giving. To find out more about Gratitude Grants and the Community Investments Program, visit www.elks.org/enf/community.